Kids usually love jam. It is a very simple and healthy milk shake for kids. Dear moms, no struggle with kids. Start giving this wonderful flavored milk shake. I love this jam milk shake forever. You can try this unique drink on party time too. 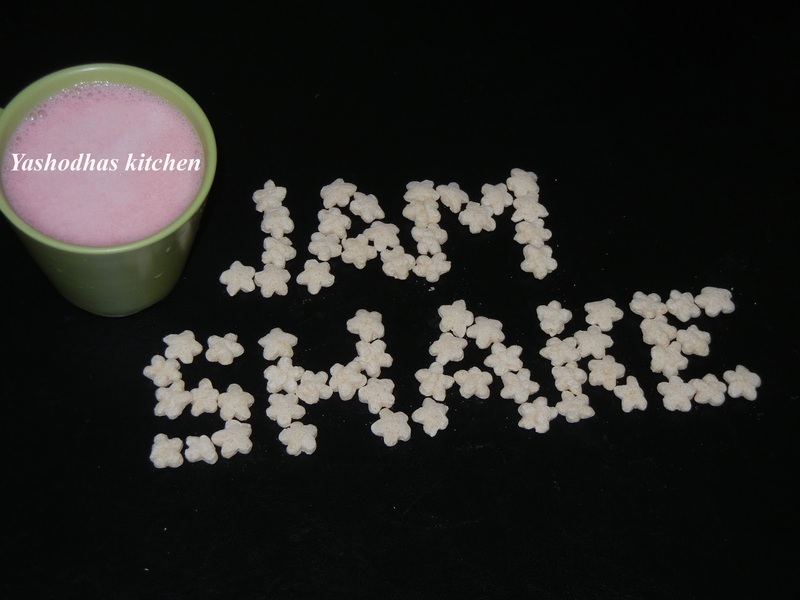 Let me explain how to make this awesome best tasted mixed fruit jam milk shake. Add jam into the cup and microwave it for 15 seconds. it starts melting. Add milk to it and mix well. Serve it as chill drink to beat out this summer.